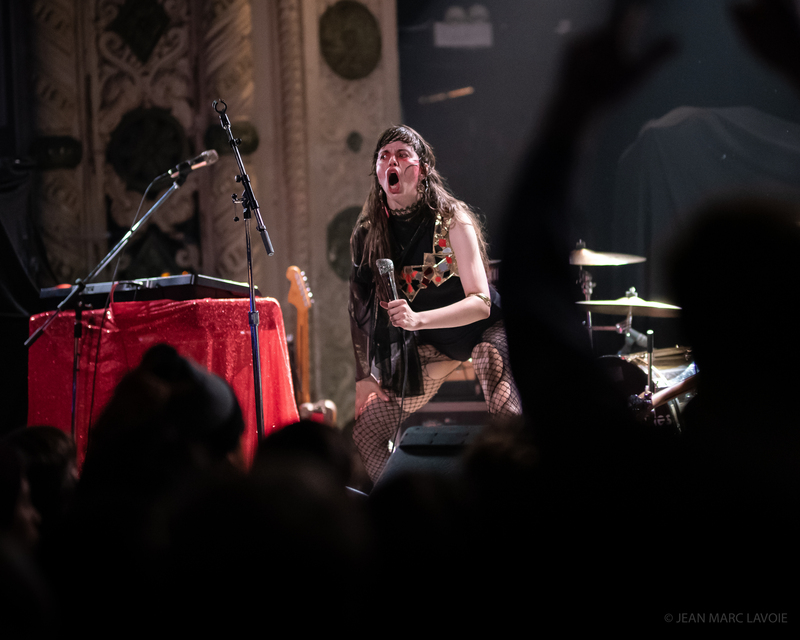 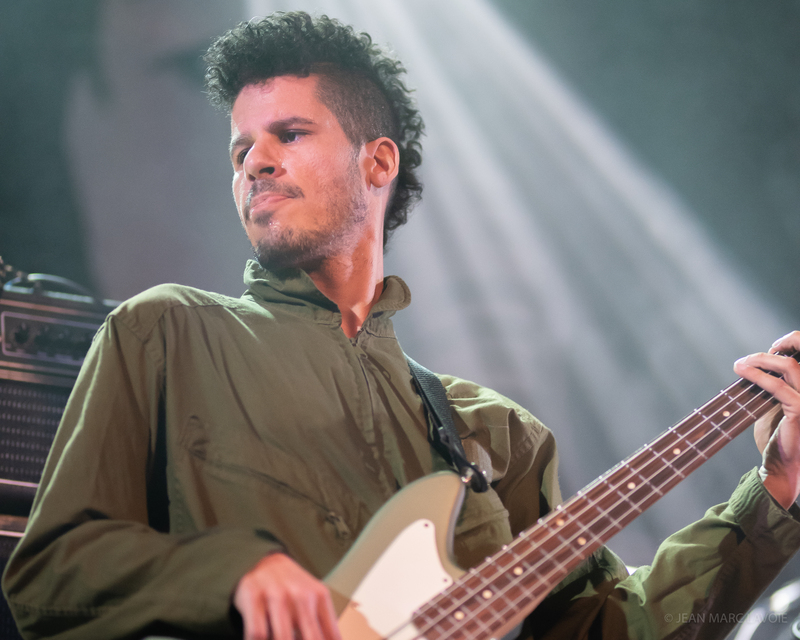 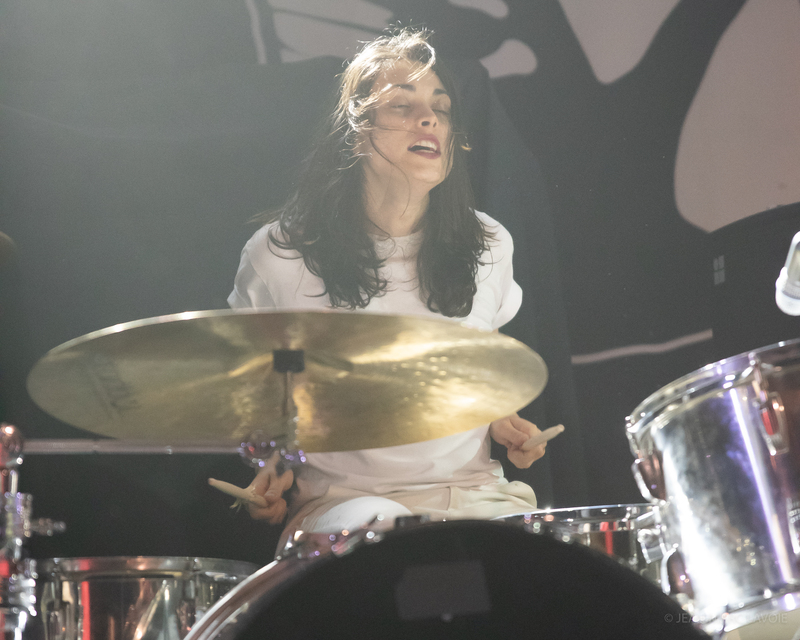 Touring with Death From Above, the modern-day garage punk legends Le Butcherettes visited Chicago for a second time this year. 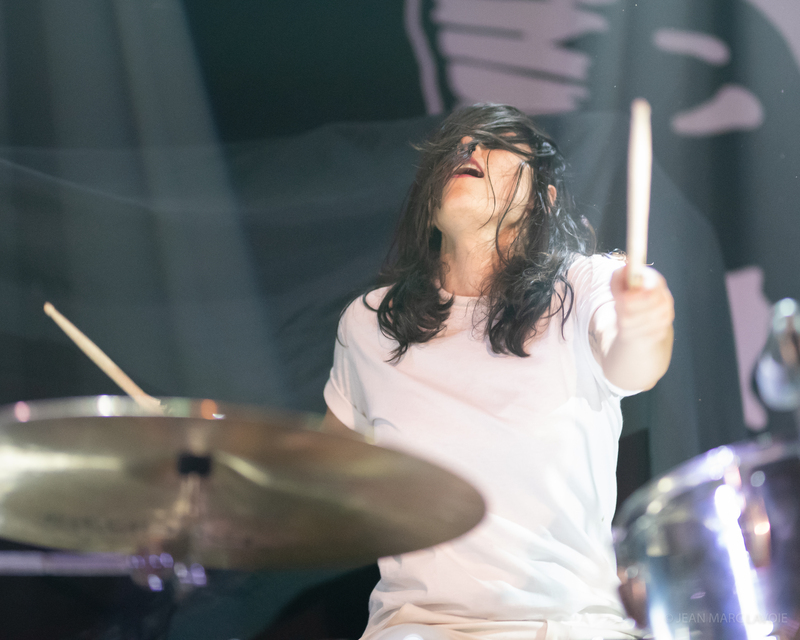 In her trademark warrior paint, unbridled and unapologetic, band leader Teri Gender Bender conquered the Metro with support from bandmates Alejandra, Riko and Marfred. 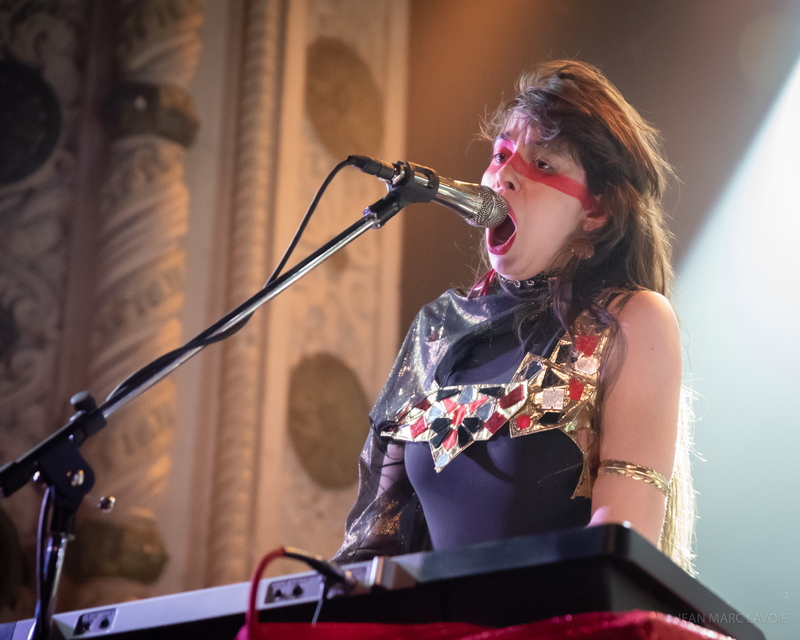 With their new LP bi/MENTAL announced for an early 2019 release, Le Butcherettes is a show that can never be missed. 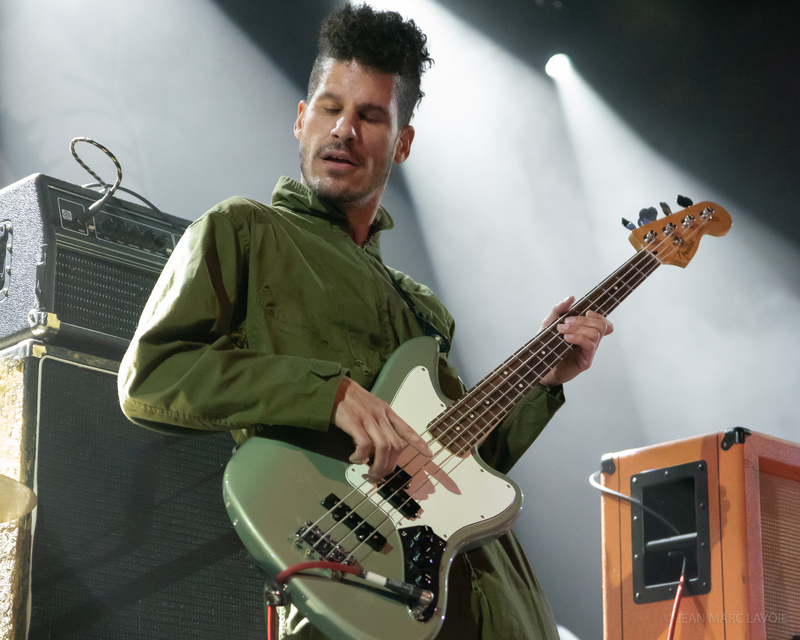 No matter how much power and energy Teri’s musical family put out the last time you saw them, each new show seems to give you even more. 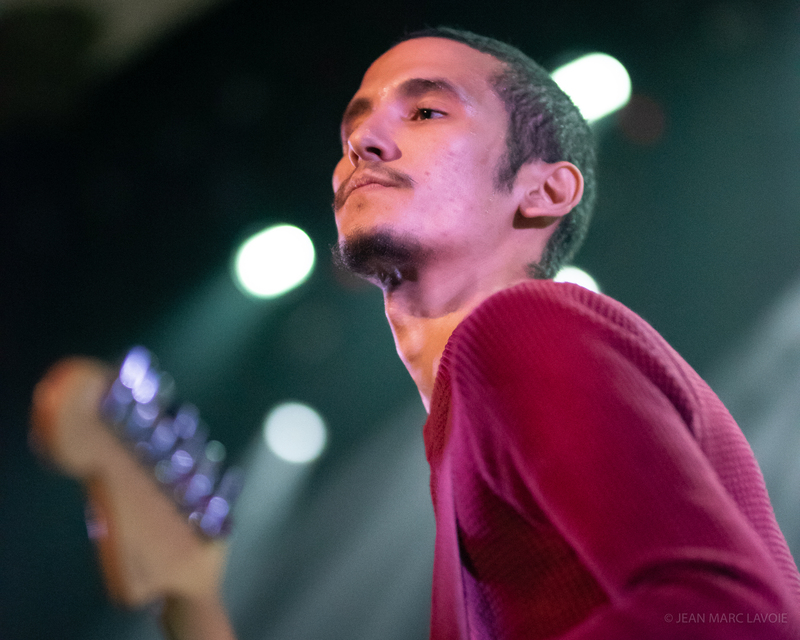 From Teri Gender Bender’s deliberate moves on stage to Alejandra Roble’s full power swings on drums, while accompanied by bandmates Riko and Marfred Rodriguez-Lopez on guitar, keys and bass, this perfect combination of four delivered tracks from Sin Sin Sin, Cry is for Flies, A Raw Youth and their latest single spider/WAVES. 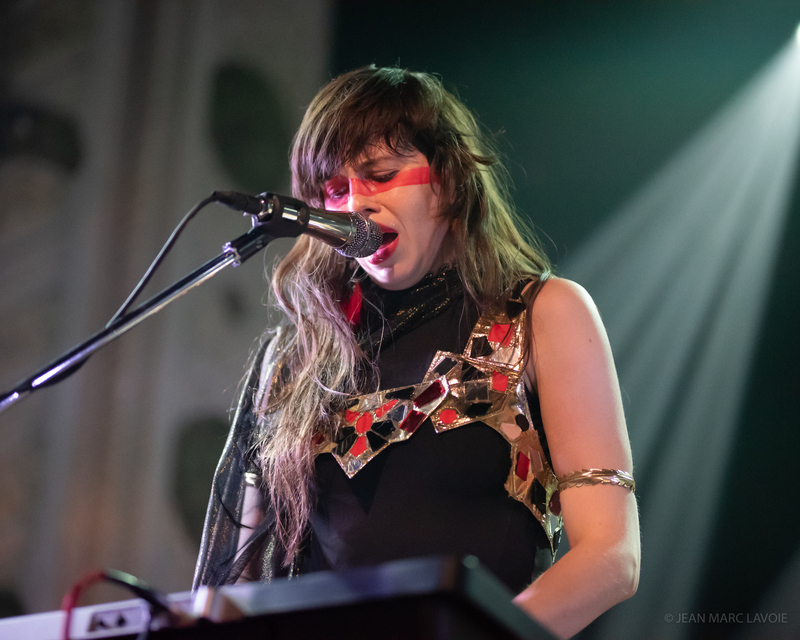 Le Butcherettes has an 11-year history with many members having joined and left their ranks. 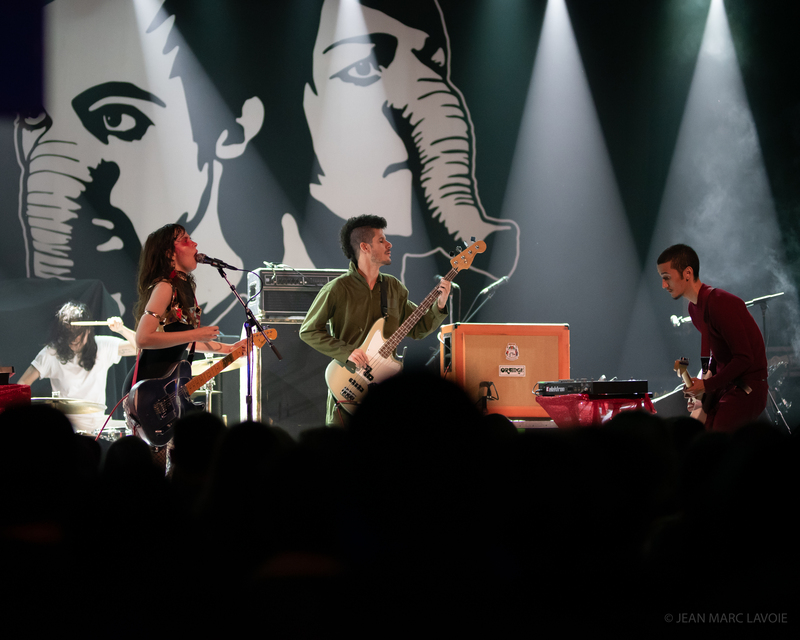 But, as the brainchild of Teri Gender Bender, the band has worked with notable artists and producers like Omar Rodriguez (The Mars Volta), John Frusciante (guitarist, formerly of the Red Hot Chili Peppers) and Iggy Pop, as well touring with The Flaming Lips, Yeah Yeah Yeahs, The Mars Volta, Death From Above, At The Drive-In and others. 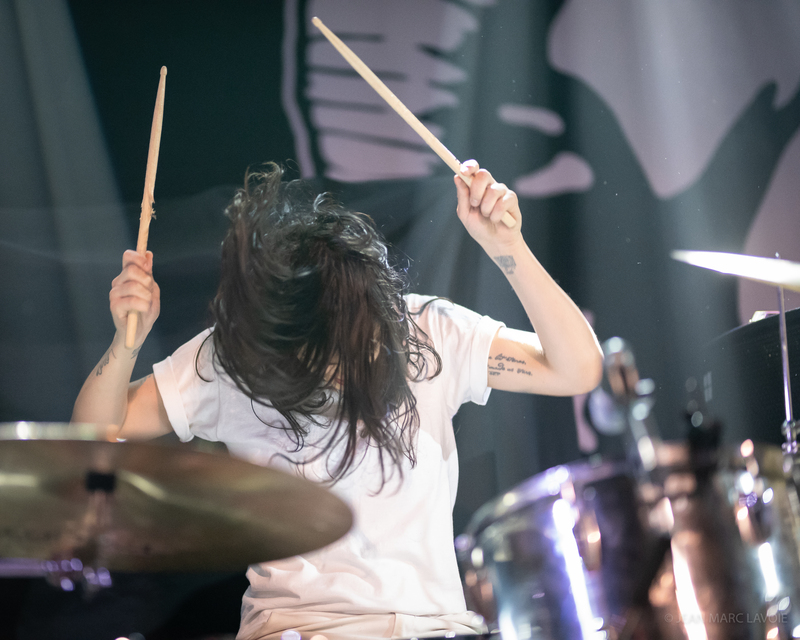 Under Teri’s leadership, Le Butcherettes has garnered awards as Best New Artist and Best Punk Record at the Indie-O Awards early in their career. 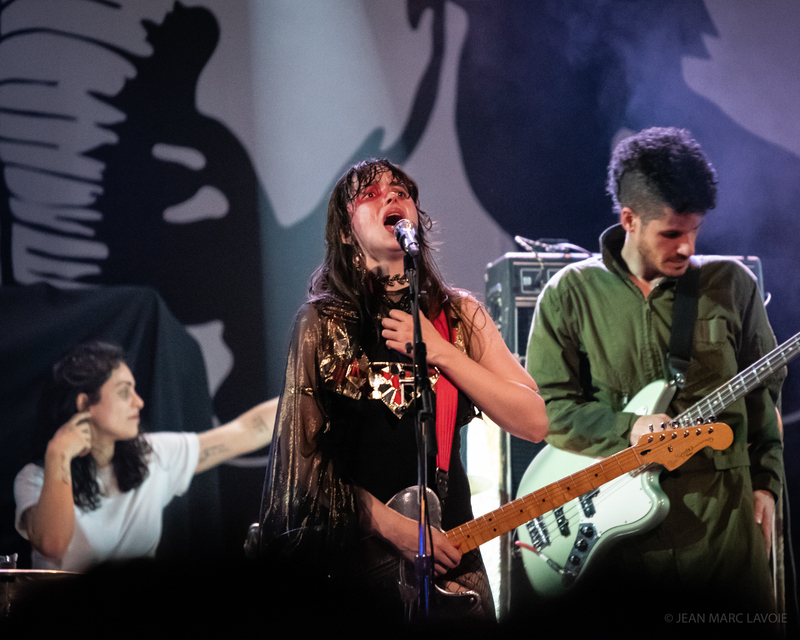 Now fresh off tour with Death From Above, Le Butcherettes have announced the release of their newest album bi/MENTAL with a supporting tour beginning in Mexico D.F. 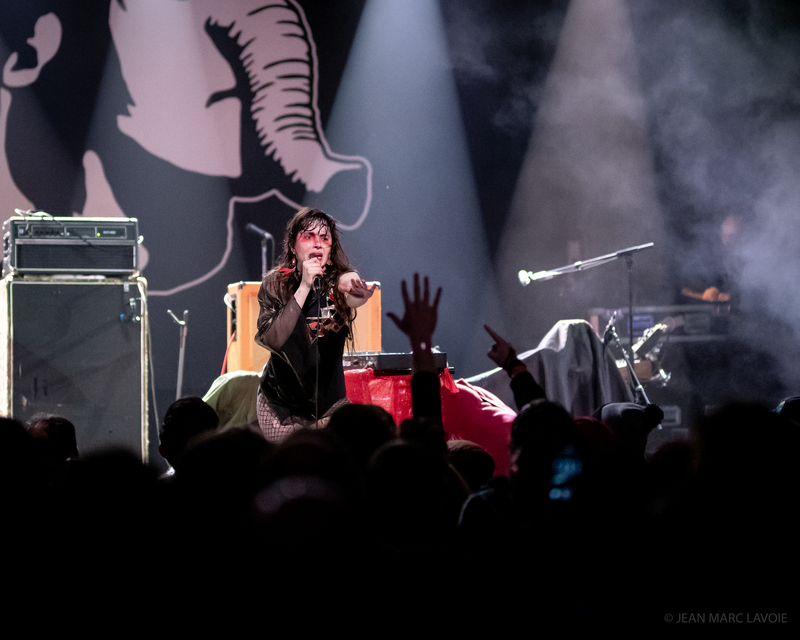 in February 2019 and bringing the band back to Chicago on February 20 at Cobra Lounge. 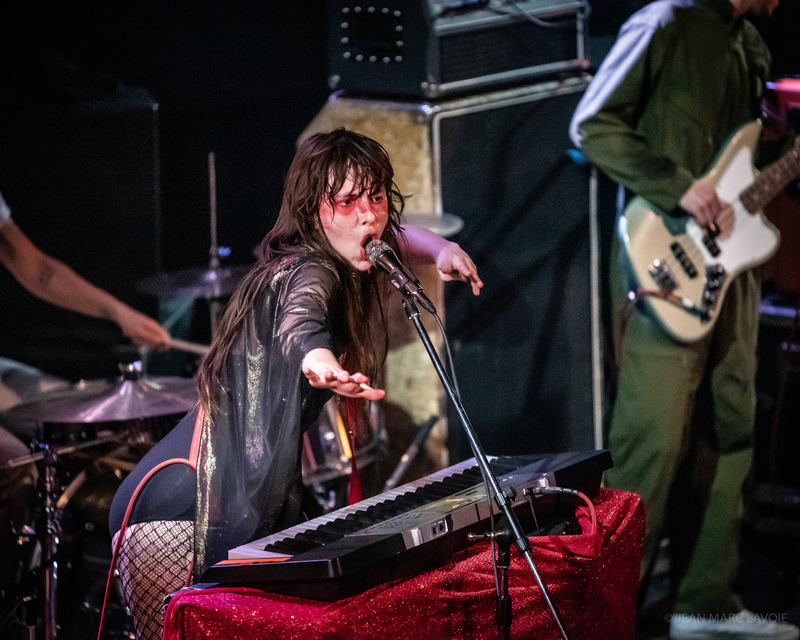 The new album Bi/MENTAL can be pre-ordered on Le Butcherettes‘ official website here, where you can also buy tickets to their tour which will take them through much of the US with a stop in Canada.